Coir Weed Mat Squares measure 500mm by 500mm are produced from the long fibres of the coconut husk bound with biodegradable natural latex to form a dense but light mat. Besgrow Weed Mat restricts the growth of weeds allowing young plants time to establish. The mat also conserves soil moisture by slowing evaporation. Besgrow Weed Mat is a natural, light brown colour that blends perfectly in a landscape environment. The material can be left exposed or covered with decorative bark or mulch. 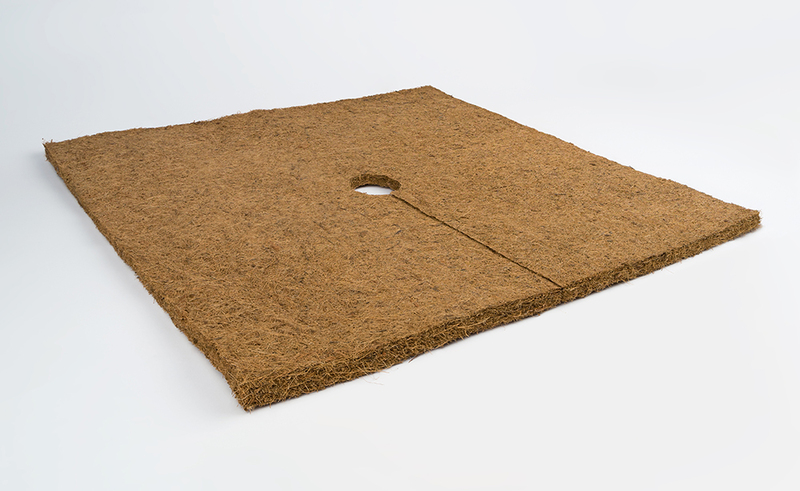 An environmentally friendly product, Coir Weed Mat is completely biodegradable and will eventually break down. Trials indicate that the mat will retain its structure for at least 18 months, however, this will vary depending on environmental conditions. As the mat breaks down it enriches the soil with organic material.